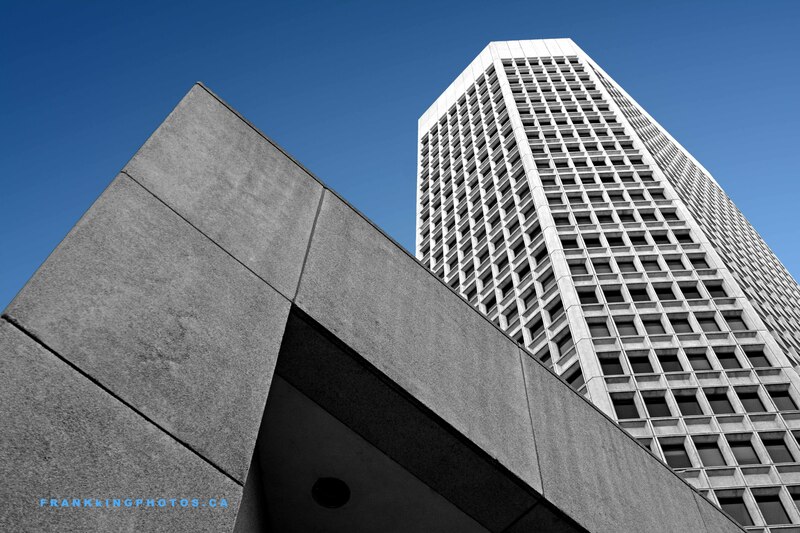 The 31-storey, 410-foot Encana Place was completed in 1982. Until a few weeks ago, nothing about the building truly grabbed my attention. Then I started walking around the front plaza and found this dramatic angle of lobby juxtaposed against the tower. So I found a spot where it sticks into the sky almost as much as the tower and made this picture. During processing, I converted the building to black & white and liked the effect. Nikon D7100, tripod, polarizing filter.